Don’t stumble around in the dark looking for the light switch. SnapPower hit upon a genius idea with its easy-to-install outlet covers that tap the power going to the outlet for additional functions. Its SnapPower Charger has USB charging sockets, and its SnapPower Guidelight and Safelight provide interior pathway lighting (the latter has spring-loaded shutters that cover the receptacles to prevent kids from sticking objects in them). The SnapPower SwitchLight is the next logical step, but it has its limitations. As with the Safelight, the SwitchLight has an LED bar light at the bottom of the plate that casts an even beam of light down toward the floor—or countertop, as the case may be. The older Guidelight has three LEDs that cast three distinct pools of light. And like the Safelight, the SwitchLight has a physical switch that provides two levels of brightness plus off. But the SwitchLight isn’t quite as easy to install. As with SnapPower’s other products, you simply remove the mechanism's existing cover and replace it with the SwitchLight. I once again ignored the company’s good advice to turn off the power to the switch first (installation does expose you to live electrical wires, but you’d have to be really careless to get shocked). I encountered some difficulty fitting the SwitchLight’s contact arms into the junction box hosting the switch. Both arms emerge from the right-hand side of the SwitchLight. 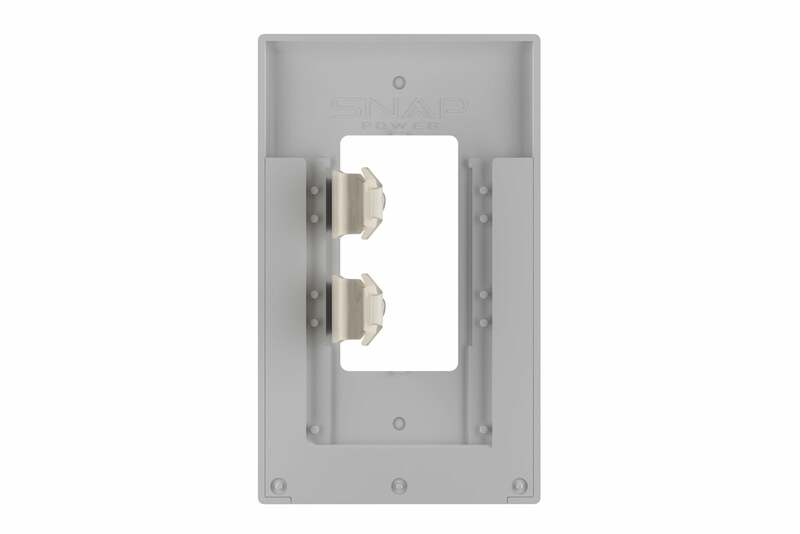 On the outlet covers, they're mounted on the left and right sides (because that's where the electrical contacts on receptacles are located). The switch on the bottom left-hand side can set the LEDs to three brightness levels: Off, medium, or high. Once I finally got both arms shoved inside the box (I had to loosen the screws holding the switch in place and slide it to the left to make room), I discovered that the electrical contacts on the arms weren’t touching the screw terminals on the switch. I had to pull it off and bend the arms in a bit (they’re made of flexible plastic, with metal contact pads). The second time I installed the plate and covered the light sensor to simulate a darkened room, the LEDs lit up as they should. If you have smart lighting in your home, you'll want to know about my experience on that front, too: Most of the light switches in my home are Z-Wave devices (a mixture of Jasco and Leviton products), and for whatever reason, I couldn’t get the SwitchLight to work on any of them. Two arms with metal contact pads draw electricity from the light switch. (This is a view of the back side of the rocker-style switch cover). 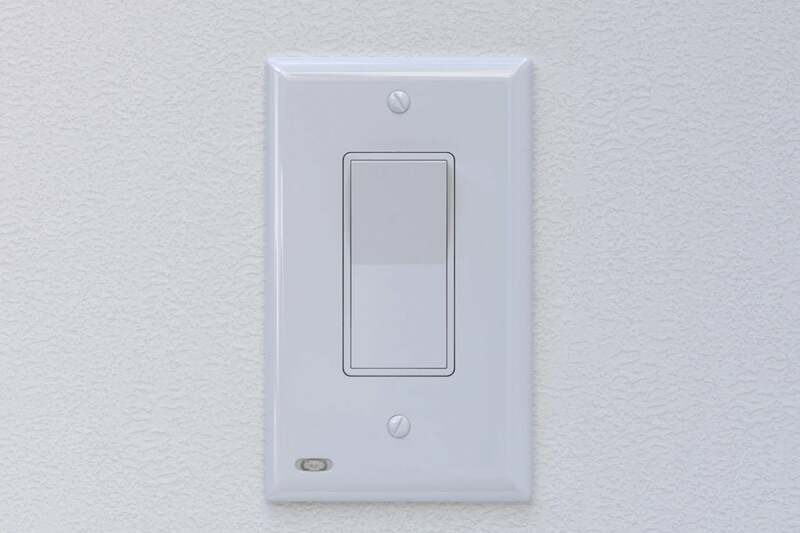 Unlike an illuminated light switch, the SwitchLight can be dimmed or turned completely off. But the SwitchLight has a couple of other limitations you’ll want to be aware of. First and foremost, it works only with single-pole switches. You can’t install it on a switch that’s part of a three- or four-way circuit where another switch (or switches) control the same light. The other limitation is more obvious: You can’t use it on switches installed in multi-gang boxes. 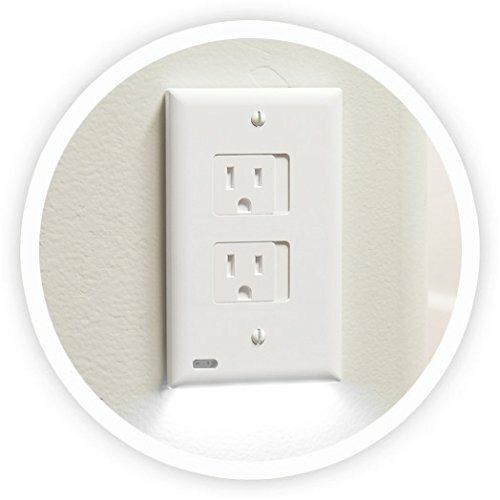 Nearly all the electrical outlets in my home are in single-gang boxes, so SnapPower’s Guidelight and Safelight work great almost anywhere. I ended up installing the SwitchLight in my walk-in closet, because it was the only non-Z-Wave, single-pole switch installed in a single-gang box in my entire house. All the others are either multi-way switches or they’re in multi-gang boxes: light and ceiling fan switches together in the bedrooms, garbage disposal and under-cabinet light switches together in the kitchen, entry and porch light switches together in the foyer, and so on. 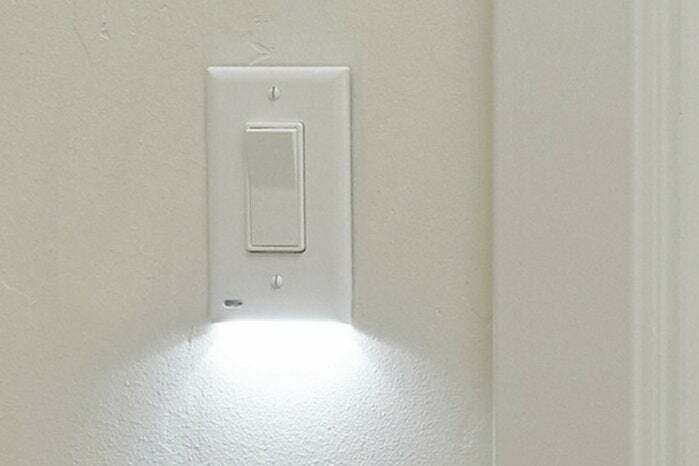 If you have conventional single-pole light switches in single-gang boxes, the SwitchLight is a terrific night light and switch locator. But it's pretty much useless in rooms with multi-pole switches and/or multi-gang boxes. SnapPower should consider building illuminated switch covers for multi-gang boxes, even if they illuminate only one of the switches in the box. Being compatible only with single-pole switches in single-gang boxes are big limitations, but the SwitchLight is an otherwise terrific addition to any home’s lighting controls.